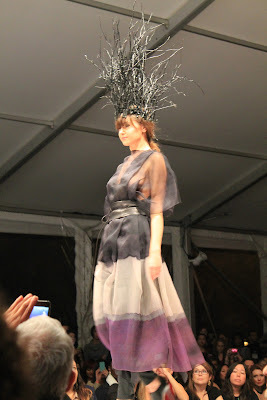 On Friday night, I had the pleasure of attending the Art of Fashion Runway Show in Chicago's beautiful Millennium Park. It may have been raining heavily outside, but once our cab dropped us at the massive tent we were safely and dryly inside sipping almond champagne in no time (you must try this, it's amazing)! The event showcased ten Chicago designers. 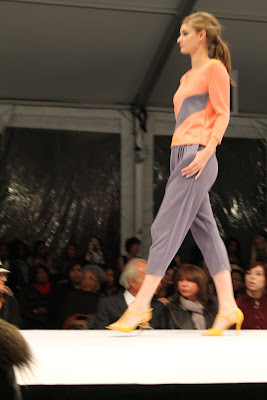 My favorite, Lara Miller, wowed me last year with her transformative knitwear in great bright colors. 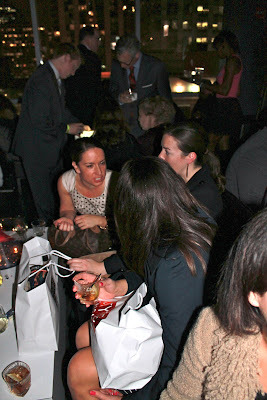 After watching the show we grabbed our super heavy swag bags and took a short walk over to the theWit Hotel where the after party was being held on their rooftop bar. After the night of free cocktails we were VERY ready to eat. We ended our night at our favorite spot, Butterfly Sushi in West loop. The pre-party area of the tent. My look for this event was what I'm calling "J Crew model goes to prom"
Some of my favorites from the show. After party on theWit Hotel's roof top! 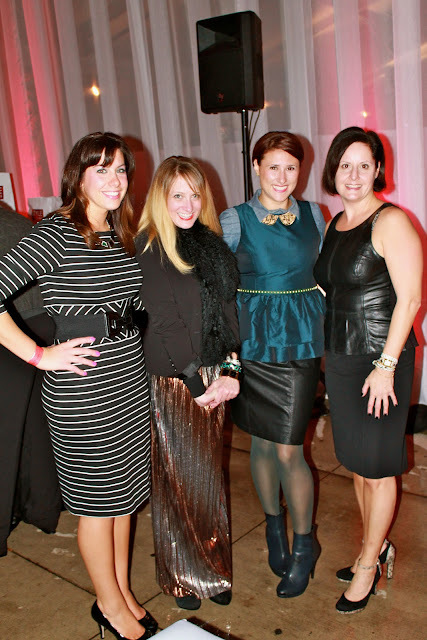 All of the Style Chicago goodie bag loot! Pretty sweet! Today is my birthday but I have been sick all weekend. I think I used up all my energy on Friday night. I will have to count that as my birthday celebration which isn't such a bad deal! 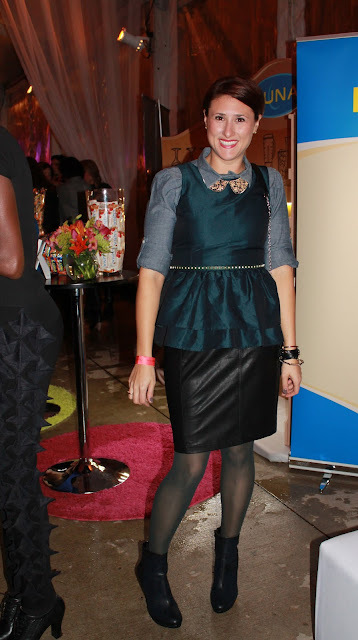 Love how you styled this top - such a fun mix of pieces...you look adorable! Thanks Kimberly! 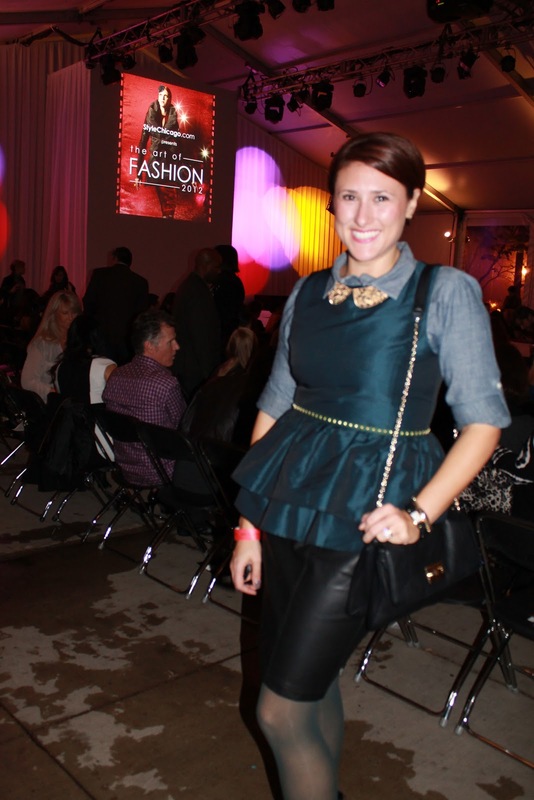 It was super cold and rainy that night so what is a girl to do but add a Chambray shirt! Thanks for stopping by!